Feb. 12, 2010 “Madly in love with me” —Sounds a bit narcissistic, yes? First off, I confess I’m a retailer’s worst nightmare, I rarely shop for manufactured occasions, prefer a spa certificate or a coupon for extra chores over most anything, and recycle over-priced cards using post-it notes to handwrite my sentiment for easy re-use among like-minded friends. In short…I usually exit stores unscathed, as the constant churn of pink think one-upsmanship with pressure out the wazoo to express feelings in uber-unique ways is just not my style…Imagine my surprise as the cash register went ka-ching in the most saccharine, cliché store imaginable. Hallmark’s leading edge little augmented reality cards (fun new media AR demo here) and even those Conversation Sweethearts by NECCO (am I the only one who didn’t know that NECCO stands for New England Confectionary Co?) have been ‘crowdsourced’ into au courant modern media sayings (thankfully, no ‘sext me’ variations). For the first time in their 145-year history, they’ll evidently have a fruity flavor and bright-colors. Go figure. They’ve always been one of those ‘look better than they taste’ traditions to me…kinda like those ghastly sugary Peeps. 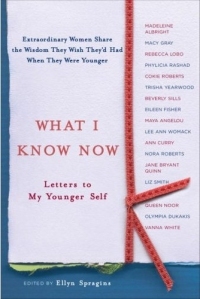 So how the heck did I end up walking out of Hallmark with “What I Know Now: Letters to My Younger Self” (Madeleine Albright, Macy Gray, Maya Angelou et al), a bright red-n-pink celebration of “inspiring stories of smart, strong, super-real women” called Girl Power, plus a CD I’d played biding time with those earphone-station demo-thingies: “Music to Inspire Positive Thinking” which supposedly is scientifically designed music that boost alpha and beta brainwave activity!? As I thought about the hypocrisy of my actions, I realize I could’ve ripped and burned that eclectic new age CD elsewhere, probably gone to the “Letters to my Body.com” website to impart the self-love message to my teen, or found a gazillion great quotes and stories from real women on the web…not to mention visit Julie Parker’s fabulous year-round tribute to self-love in her site “Beautiful You” (she wrote about this campaign over a month ago, I see now! )…So what’s the ‘why to buy’ as we say in marketing? In trying to express the concept of looking within to see what matters, to love yourself and give permission to be loved with full tilt authenticity over pink and red-ribboned tchotchkes, I’d found myself walking out of the store with tactile, hands-on gifts. Whoa. I like these people already. All of these resonated with me, and as I listened to today’s BlogTalk radio show with founder Christine Arylo (interviewed by Girlfriendology.com) it seemed nothing short of brilliant that this woman had taken the concept of self-love into a full blown manifesta of empowerment, cause-marketing and dare I say it? Yes…a shopping experience. That’s right, “wear the love, read the love, give the love, share the love” all the while positioning it as a dare to be true to yourself and define who you are and what makes you different and so lovable! Smart. Very smart marketing. “While it is true that women and girls have more equality and self esteem that ever before, something isn’t changing. We believe that something is self-love… while self esteem is something we want every woman and girl to have, knowing that you can do anything doesn’t stop women and girls from beating themselves up, putting themselves into abusive relationships or hating and destroying their bodies. • 1 in 3 women will be in an abusive relationship before the age of 20. 80% will return. • 1 in 3 women will be sexually abused. • 4 of 5 girls will think about dieting before 4th grade. • Almost 1 out of 2 women will suffer through a divorce. 20% in the first 5 years of marriage. • 80% of women are so exhausted that they are headed for extreme adrenal gland fatigue. • Women surveyed today are no happier than women surveyed in 1970, even though they have more equality, self esteem and freedom. “If you ever believed that self-love was a luxury think again. The repercussions of not having it, and worse not teaching it to our daughters, are serious. Yep. Definitely like this organization already. I can’t make their event tomorrow as I’ll be with hundreds of teens at a girls volleyball tourney in the South Bay. But I’ll be thinking about the celebration…and the concept…and hope to help pay it forward any way I can. “Imagine a world of love” speaks volumes. Enjoy. Great post, Amy! We need more of these “best of” lists for the thinking woman and girl. And what IS it about those creepy Peeps? :). Your post makes me feel hopeful that there is a critical mass of resources out there to combat the Valentine’s Day messaging which so often shames and embarrasses girls. I was at a school this week where a choir was busting into classrooms doing singing valentines, and I couldn’t help but feel badly for the kids who weren’t getting them. Am I a party pooper? .-= Amy Jussel´s last blog ..This Valentine’s Day, Fall Madly In Love With Yourself =-. Hey Amy. Great post and Happy Valentines day to you.Plenty of great references and ideas in here and many thanks for the mention of Asset-Based Thinking. As you point out, the key to making the most of our relationships and situations is to get past our perceived shortcomings (and deficits) and discover and celebrate the personal assets that make us who we are. It all starts there. Also, thanks for the mention of the AHA’s Go Red For Women campaign. 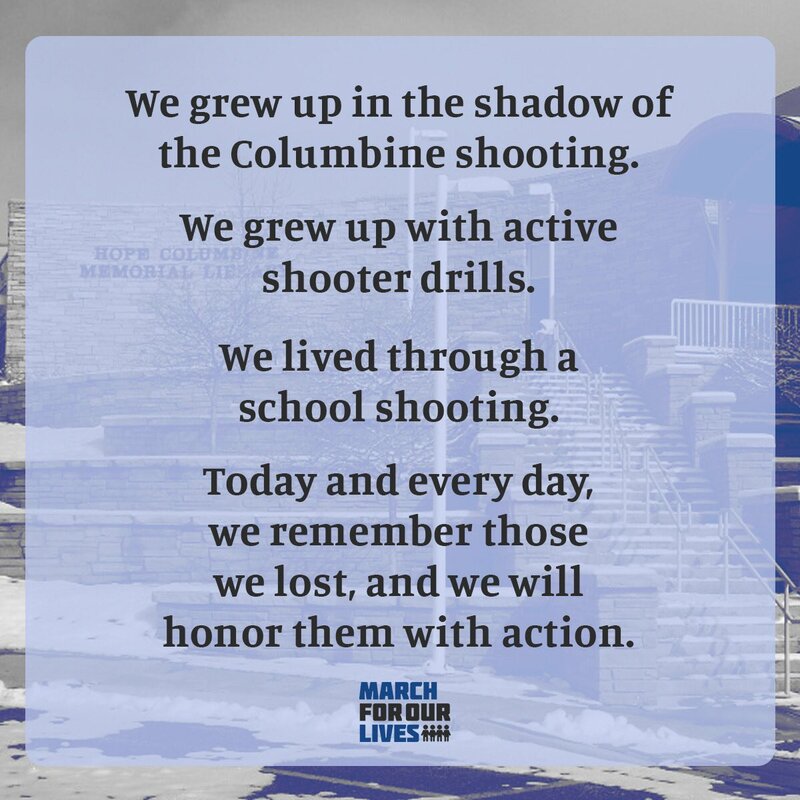 A great cause. I’m off to Dallas on Monday for a series of AHA Board and committee meetings with some very special people. wow, Hank. You amaze me with your prowess at finding your mentions… what a social media whiz. I can’t seem to get around to tracking much of anything with my digital deluge. Have any interns you can lend me? heh. Happy Valentines day to you as well, and thanks for sharing your positivity with all. There’s a #TED Talk featuring 12 year old Adora Svitak that sounds like we both will want to cover, fyi. Follow @ZyOzyFounder ‘s stream for more. Steve’s also doing a cool choir viral video for Haiti: http://shar.es/mnF8m very positive peeps.